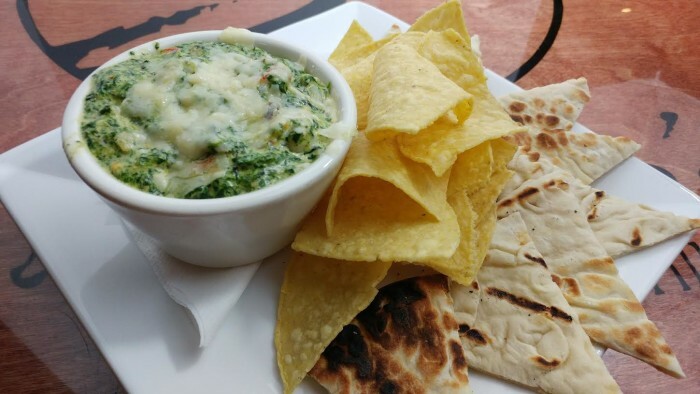 SEAFOOD SPINACH DIP | An award winning restaurant and venue of sporting events and live music. A a rich, flavorful dip made with shrimp and crawfish tail meat, spiced cream cheese, and fresh spinach. Served with grilled pita bread and tortilla chips.